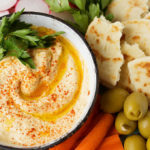 Enjoy this Classic Hummus Recipe on pita bread, flatbread, pita chips, veggies, sandwiches and wraps, eggplant, or whatever you want! Oh, and it goes great with a cold beer! About 1998 I went to a local brewery here in Western Washington with some friends of mine. This is a really nice brewery, and one of the first to pop up in our area when the whole microbrew craze started. They are known pretty far and wide, and they have really good food. Well, and beer, of course! We ordered our beer and some appetizers, and when the server placed our appetizer on the table I wasn’t sure what to make of it. It looked like pizza, kind of, and my friends were dipping the pieces in this tan colored dip. So, I gave it a try and fell in love with the stuff. That “stuff” was called Hummus. It was a Classic Hummus recipe, with lots of lemon and garlic, and it had a rich, nutty flavor. We were dipping with an amazing pita flatbread with olive oil and gorgonzola cheese! Dipping THAT into HUMMUS! My friends and I agreed that this would be our dinner, everyone loved it. So how was I going to recreate this dip? I made up my own version, and did a few adjustments, and had my own Classic Hummus Recipe. I even published it in our local cookbook that we made for Bryen’s school. How can that be 20 years ago?! 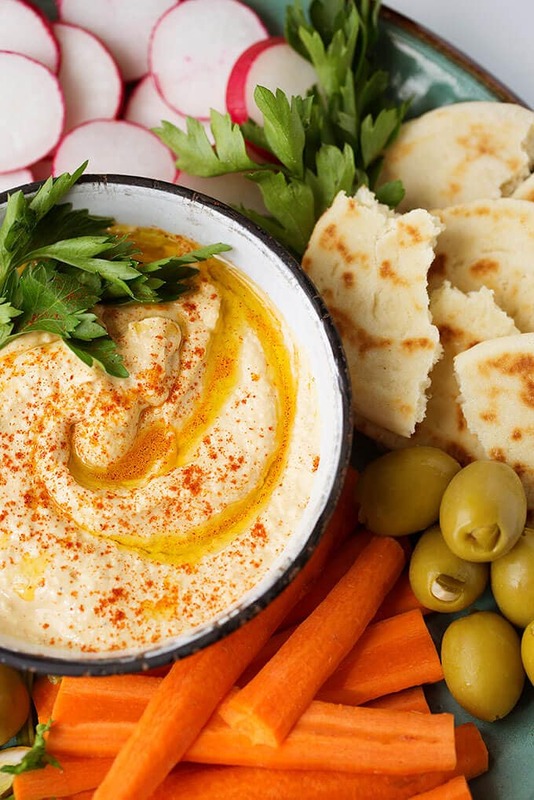 Enjoy this Classic Hummus Recipe any time of year, with any kind of chip, bread or veggie you like to dip! I’m not a huge beer drinker, but my favorite local beer is Mac and Jack’s African Amber. It’s very good! 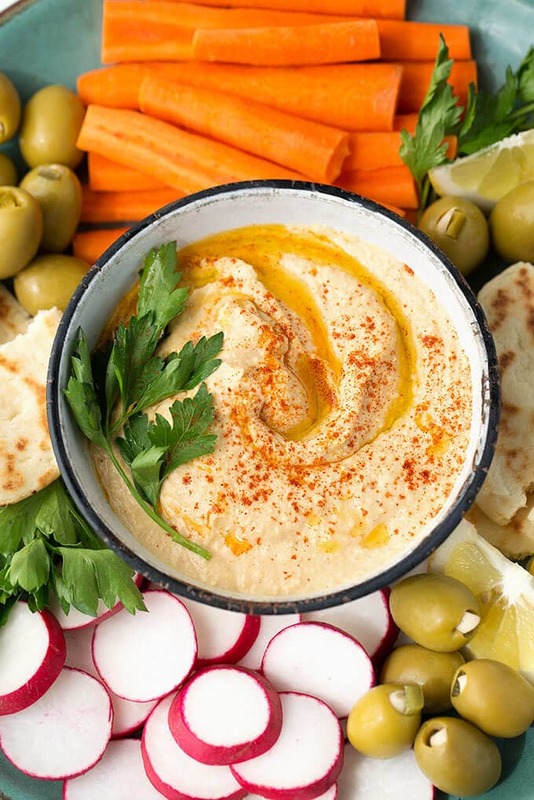 Classic Hummus is a dip that goes well on pita bread, chips, and vegetables. Also makes a nice sandwich or wrap spread. Add everything to a mini food processor and pulse several times until well blended and smooth. Taste and adjust seasoning as desired, add more water if you like it thinner, and pulse a few more times (if you made adjustments). Transfer to a serving dish and garnish with a drizzle of olive oil, parsley, or toasted pine nuts.